We have two active groups for young people in school key stages 2 and 3 (age 7-14). One is a mainly social for KS2 &3 which meets monthly for an activity, discussion or outing. 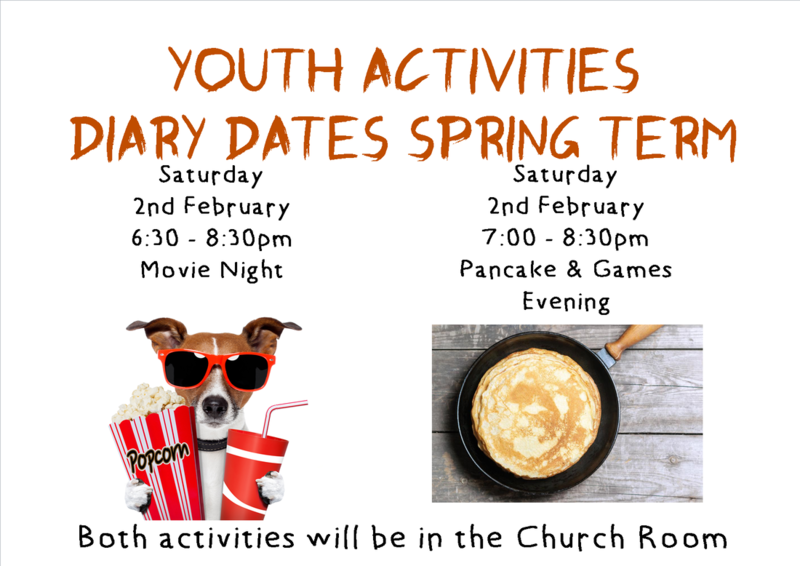 Activities can include, Film Nights, Bowling, Pancake and Pizza evenings (not together!) and we are planning camp-outs, hikes and other activities. As well as fun and we include some light discussion based on the Christian faith. The latest programme is below. PITSTOP is our group for 11-14 year olds (Key Stage 3) which meets every 2nd and 4th Sunday evening from 7:00pm to 8:30pm in term-time. What better way to share about our week than over pizza? Then, we look at the Bible using YFC resources to understand it better, and have time to answer questions. Of course, there will always be time for some games. PITSTOP dates for the Spring term are 13th & 27th January, 10th & 24th February, 10th & 24th March. If you would like to know more about either of these groups then please get in touch.